Composit image made up of three individual photographs. 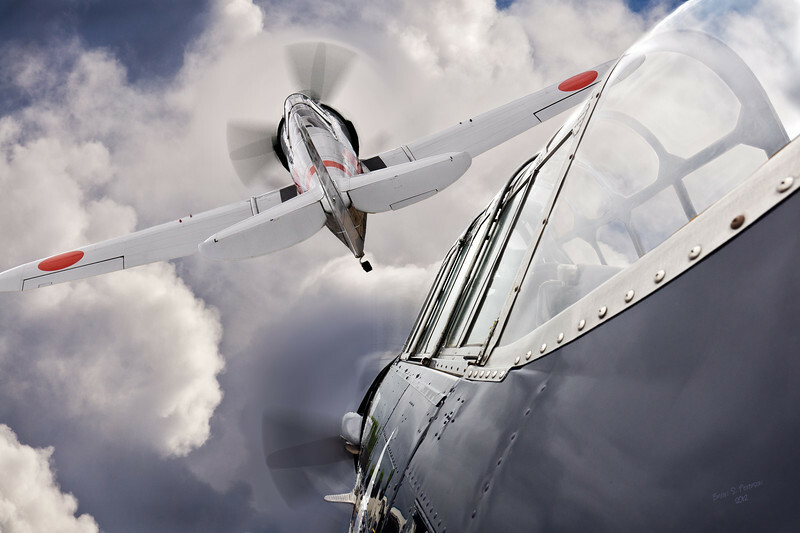 The aircraft images were taken of static displays at the 2011 Olympia air show with the third image being that of the clouds and sky. All images captured using a Nikon D-300 and processed using Photoshop cs5.